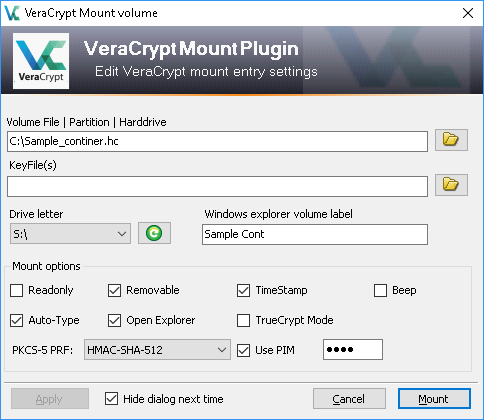 This plugin helps you to save time mounting VeraCrypt volumes. You don't have to select each time your container, select a drive letter and optionally type in the password. 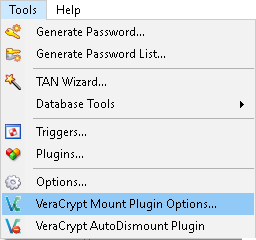 Unzip and then copy the latest KeepassVeraCryptMount.plgx into your KeePass plugin directory (usually: C:\Program Files (x86)\KeePass Password Safe 2\Plugins). The options dialog is in the Tools menu item. Here you must specify the VeraCrypt executable path. 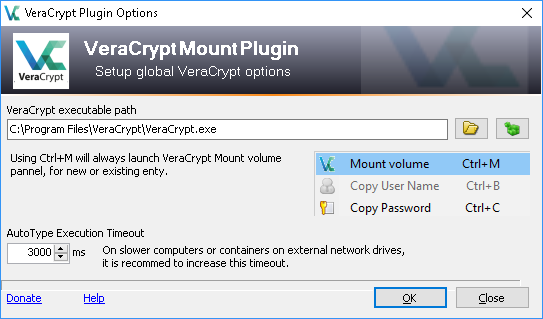 Assuming you have a separate KeePass entry for each VeraCrypt volume, you should right click the KeePass entry, use Ctrl+M shortcut if it's a new entry not yet configured for VeraCrypt, it will work on any entry even if the context menu entry is not shown. The password for the volume is stored in the default password field of KeePass. With a click on the "Mount volume" item or Ctrl+M, you will see the dialog below. Here you can specify the mount settings for this password entry. If you select the option "Hide dialog next time", clicking on the password entry "Mount volume" will directly mount the entry without showing the config panel. Note: Never enclose your path_to_file with "" even if you have spaces in your path, they will be added automatically if needed. 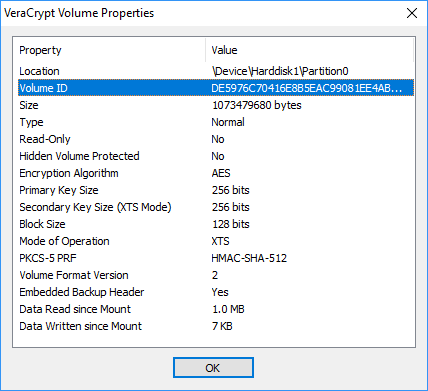 The best way to fetch the correct partition, open VeraCrypt and choose your partition with the "Select a Partition or Device" dialog and copy the value from the volume field. 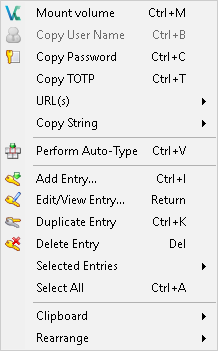 After that, choose a free drive letter or leave it to <Auto Select> and check/uncheck needed options. Then press the Apply button and then Mount button to store the settings inside of the KeePass password entry as custom strings (settings are saved only after pressing the Mount button). The "Mount" button starts the mount operation.